Download: [hide][Hidden Content]] Virus Scan: Not needed it, it's a text file. List of terms used in the field of hacking. 🚩Adware − Adware is software designed to force pre-chosen ads to display on your system. 🚩Attack − An attack is an action that is done on a system to get its access and extract sensitive data. 🚩Back door − A back door, or trap door, is a hidden entry to a computing device or software that bypasses security measures, such as logins and password protections. 🚩Bot − A bot is a program that automates an action so that it can be done repeatedly at a much higher rate for a more sustained period than a human operator could do it. For example, sending HTTP, FTP or Telnet at a higher rate or calling script to create objects at a higher rate. 🚩Botnet − A botnet, also known as zombie army, is a group of computers controlled without their owners’ knowledge. Botnets are used to send spam or make denial of service attacks. 🚩Brute force attack − A brute force attack is an automated and the simplest kind of method to gain access to a system or website. It tries different combination of usernames and passwords, over and over again, until it gets in. 🚩Buffer Overflow − Buffer Overflow is a flaw that occurs when more data is written to a block of memory, or buffer, than the buffer is allocated to hold. 🚩Clone phishing − Clone phishing is the modification of an existing, legitimate email with a false link to trick the recipient into providing personal information. 🚩Cracker − A cracker is one who modifies the software to access the features which are considered undesirable by the person cracking the software, especially copy protection features. 🚩Denial of service attack (DoS) − A denial of service (DoS) attack is a malicious attempt to make a server or a network resource unavailable to users, usually by temporarily interrupting or suspending the services of a host connected to the Internet. 🚩DDoS − Distributed denial of service attack. 🚩Exploit Kit − An exploit kit is software system designed to run on web servers, with the purpose of identifying software vulnerabilities in client machines communicating with it and exploiting discovered vulnerabilities to upload and execute malicious code on the client. 🚩Exploit − Exploit is a piece of software, a chunk of data, or a sequence of commands that takes advantage of a bug or vulnerability to compromise the security of a computer or network system. 🚩Firewall − A firewall is a filter designed to keep unwanted intruders outside a computer system or network while allowing safe communication between systems and users on the inside of the firewall. 🚩Keystroke logging − Keystroke logging is the process of tracking the keys which are pressed on a computer (and which touchscreen points are used). It is simply the map of a computer/human interface. It is used by gray and black hat hackers to record login IDs and passwords. Keyloggers are usually secreted onto a device using a Trojan delivered by a phishing email. 🚩Logic bomb − A virus secreted into a system that triggers a malicious action when certain conditions are met. The most common version is the time bomb. 🚩Malware − Malware is an umbrella term used to refer to a variety of forms of hostile or intrusive software, including computer viruses, worms, Trojan horses, ransomware, spyware, adware, scareware, and other malicious programs. 🚩Master Program − A master program is the program a black hat hacker uses to remotely transmit commands to infected zombie drones, normally to carry out Denial of Service attacks or spam attacks. 🚩Phishing − Phishing is an e-mail fraud method in which the perpetrator sends out legitimate-looking emails, in an attempt to gather personal and financial information from recipients. 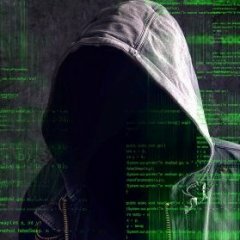 🚩Phreaker − Phreakers are considered the original computer hackers and they are those who break into the telephone network illegally, typically to make free longdistance phone calls or to tap phone lines.